New issues have a reputation for delivering poor investment returns. In this article we filter SharePad for companies that may be more seasoned than they look. 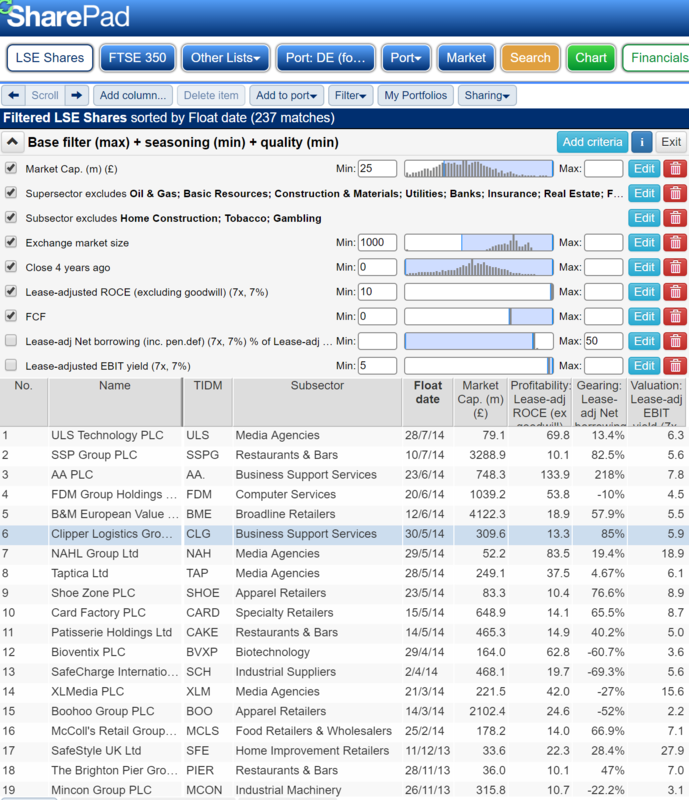 In my last article, I filtered SharePad for the firms that had been listed longest on the London Stock Exchange. Statistically speaking, the longer an investment has been listed in the stockmarket the better it performs. You may well wonder why today I’m going to look at a statistically disadvantaged group – companies that have listed more recently. Well, I have an itch I want to scratch. I wonder whether hidden among the youthful firms that have recently listed on the UK stockmarket are more established firms in more prosaic businesses. Firms that were perhaps founded decades ago, but have for one reason or another only just floated. Unfortunately, I am not aware of any data provider that tells us when companies were founded, probably because for many firms there is no unambiguous date, it is lost in the mists of time or it has become irrelevant because of the business has changed so much. Float dates, by contrast are completely unambiguous. Nevertheless when companies float on the stock market, they are obliged to publish a prospectus or admission document, which includes information about the firm’s history and often a founding date. We can use SharePad to find promising new issues, and to find the prospectuses by following the link to a company’s corporate website listed in the Company Info section. Prospectuses are long documents but usually there are a few paragraphs on the company’s history, which will tell us a lot about how established the business is. I built the filter around a stricter version of my base filter. The original base filter excludes a few broad subsectors that I do not invest in, but some of the sectors that do interest me include subsectors that don’t, and I have excluded those subsectors too. I have also excluded companies with an Exchange Market Size of less than £1,000 (a measure of the value or volume of shares we can easily trade). I have set the value low to exclude all but the most illiquid shares i.e. those that might be difficult to buy or sell in reasonable quantities. By requiring a closing share price four years ago, I have also excluded the newest of newest issues, those that floated more recently than four years ago. Though I am interested in youthful companies I must be able to form an opinion on how they perform through thick and thin. Four years as a listed firm, along with the three years of financial data usually disclosed in the listing prospectus, may be enough to go on. Finally, I have included a couple of basic quality factors. I excluded any companies that earned less than 10% return on capital employed in their most recent financial years. On a cash basis, I simply demanded that, after capital expenditure, capital had flowed into the business. I sorted the list by Float Date so that the youngest firms were at the top. Thirty six firms floated between four and ten years ago. The majority (23) floated in 2014 and 2013, probably because it was a time of rising share prices so the previous owners selling the shares thought they could get a good price. We can add further criteria to screen out firms that are highly indebted or firms that are too expensive to buy now. You can see the values I might use at the bottom of the list of criteria, but they are not ticked because I might compromise on them. 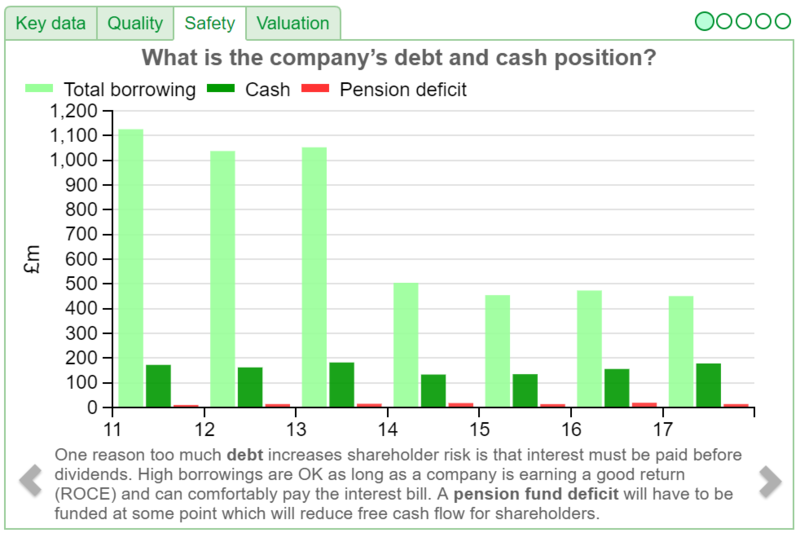 I might buy shares in a company that is more than 50% funded by debt, for example, if I am confident it will be able to pay off the excess in the near future. I want to keep an eye on these numbers as I decide which companies to investigate. Incidentally, applying all the criteria reduces the number of shares that pass the filter from 36 to just nine: ULS, NAHL, Taptica, Patisserie, SafeCharge, XL Media, SafeStyle, and Brighton Pier. The most youthful company that makes the grade is ULS. It listed in 2014, but it was founded in 2003 to launch an online conveyancing comparison tool called eConveyancer, which according to SharePad is still its flagship product. Reassuringly the firm’s founders are still involved in the business. Nigel Hoath, owns 12% of the shares but no longer sits on the board. His co-founder Andrew Weston is the company’s IT Director. I think we may, in ULS, have an idea for an investment. SSP’s corporate web address is “https://www.foodtravelexperts.com/”. It operates cafes and restaurants in airports and railway stations: think Upper Crust, an own brand, or Starbucks, which it operates as a franchisee). SSP has a long and complicated corporate history, but its latest incarnation was spun out of Compass, the catering giant in 2006. Since then it has been chaired by Vagn Sorensen, a partner in the private equity firm that bought it, although he doesn’t own a significant stake in the company and neither does the firm that floated it. Everybody reading this article has surely heard of the AA, but I am going to pass quickly over it. Obviously it is a big well known brand, but it is too complicated and indebted to interest me. I am also going to pass over FDM. It is a consultancy that supplies IT professionals to work on projects for multinational companies, but to my mind it has snuck into this list on a technicality. Thought it moved up to the main market in 2014, its original listing in London was in 2005, when it joined AIM (the Alternative Investment Market). B&M is another company in a hot sector: discount retail. It sells branded groceries at “sensational prices” and higher priced products for the home and garden. I have yet to have the pleasure of visiting a B&M store, but it appears to differentiate itself from discount supermarkets like Aldi and Lidl by focusing on the most popular brands and eschewing fresh food, considering itself an adjunct to the weekly shop rather than the main destination. It has grown very rapidly since it adopted this formula in 2004, through acquisition as well as by opening new stores. With the merger of Sainsbury’s and Asda, the launch of Jack’s discount stores by Tesco, and the ever looming threat of Amazon, I wonder if the best days of the disconters are behind them though, and with borrowings on the rise to support store openings, I am not in a hurry to get to know B&M better. Based on my very small sample, I like the filter because it highlights companies I haven’t come across as soon as they are seasoned enough for me to invest in. I have reservations about it too. Unsurprisingly perhaps ULS, SSP, FDM and B&M were all fashionable businesses likely to be valued highly by traders when they floated, even though they had existed for decades. Four years later, I am only inclined to move one, ULS, onto my watch list. 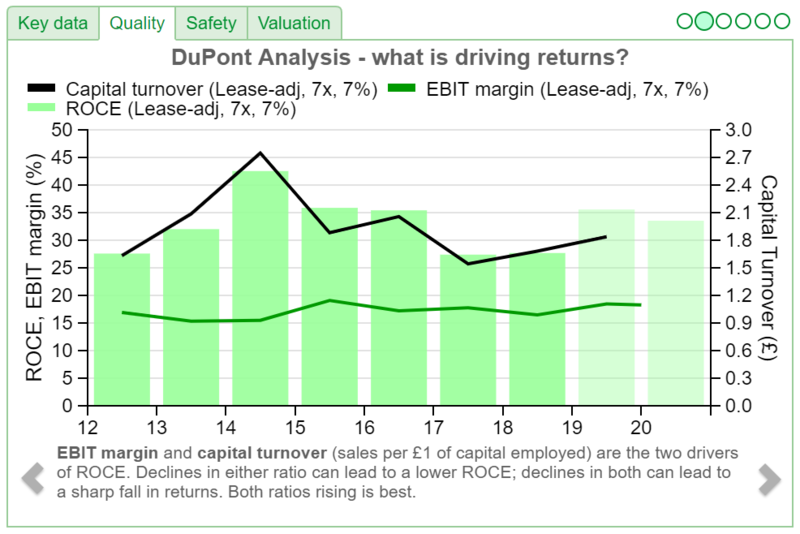 If you are interested in analysing companies that are more seasoned than they look, I have already done one. It is Strix, a manufacturer of kettle components.